This letter from W. Kenneth Haddock, Chief of the Education Branch of the Department Health, Education, and Welfare (HEW), confirms with President George M. Modlin plans for Dr. Haddock to visit the University from February 28 to March 1, 1968. This is part of a correspondence about plans to meet to discuss the school's compliance with the Civil Rights Act of 1964. 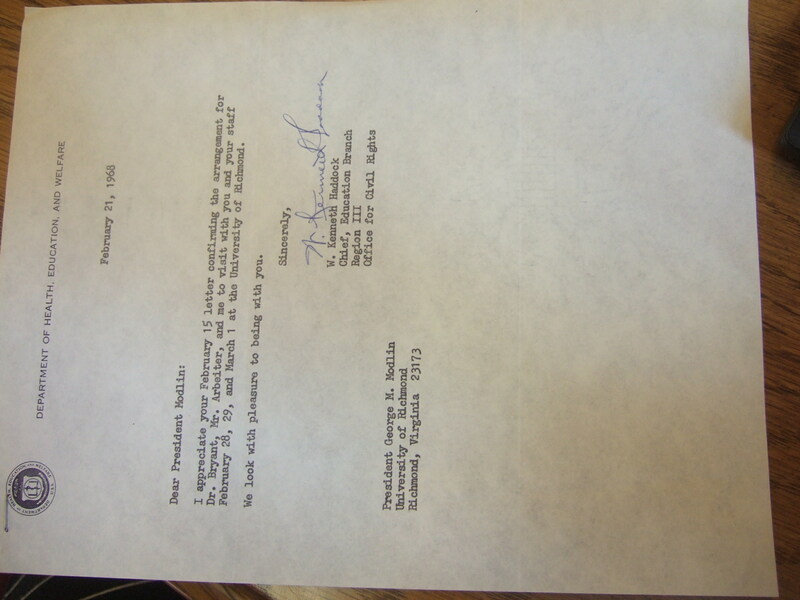 Letter from W. Kenneth Haddock to President George Modlin, 21 February 1968, RG 6.2.5 Box 25 Folder 1 "US Government: "Civil Rights" HEW 1968 and 1969," University Archives, Virginia Baptist Historical Society. 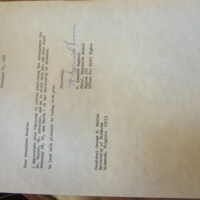 Haddock, W. Kenneth, “Letter from W. Kenneth Haddock to President George Modlin,” Race & Racism at the University of Richmond, accessed April 18, 2019, https://memory.richmond.edu/items/show/2535.